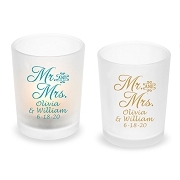 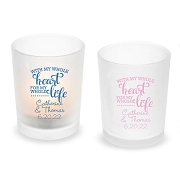 Let your love shine bright with these personalized beach themed glass votive candles! 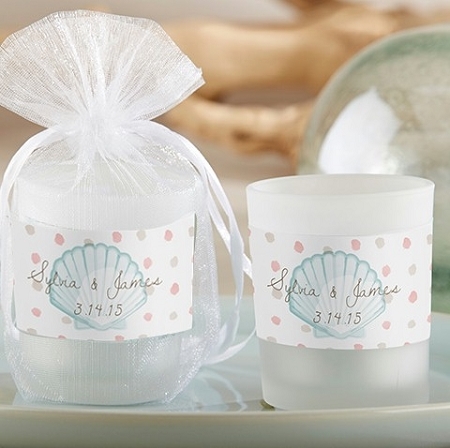 Casting a soft glow in two beach-inspired designs, these votives are decorated with sand dollars and seashells and can be personalized with your names and event details. 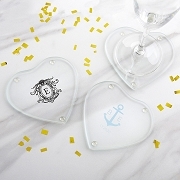 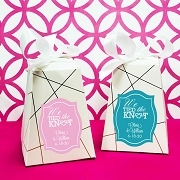 Add a hint of the sea to your wedding or shower decor, then send these custom coastal favors home with loved ones.